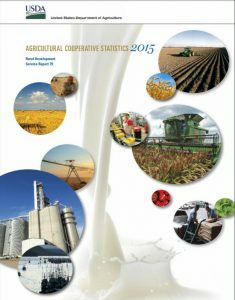 Agricultural cooperatives have demonstrated steady growth and stable financial performance in recent years. They make strong contributions to the U.S. economy and create new employment opportunities for college graduates with degrees in agriculture. In 2015 there were 2,047 agricultural cooperatives in the United States, with a net income of $7 billion dollars and 136,300 full-time employees (USDA, SR79 Agricultural Cooperative Statistics). The Ohio State University has a long history of supporting cooperative education, including a long-offered undergraduate agricultural economics course that focuses specifically on the cooperative model. 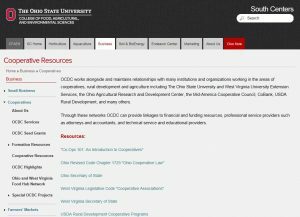 The Ohio Cooperative Development Center (OCDC) collaborates with Dr. Tom Worley and Dr. David Hahn of The Ohio State University Department of Agricultural, Environmental and Developmental Economics (AEDE) to facilitate components of the course. AEDE 3141 develops students’ understanding of the cooperative business model and cooperative principles as they relate to the organization and management of agribusinesses. OCDC works with teams of students to develop cooperative leadership multi-media projects. First, students choose a cooperative topic of interest on which to focus their project. Students may choose topics like the unique aspects of managing a co-op compared to investor-owned firms; the concept of the patronage refund and its role in the cooperative business model; or the roles and responsibilities of co-op members in the success of their business. Next, OCDC and course instructors are available to connect students with current cooperative managers, directors, or officers who share operational knowledge and real-world experience of the topic. Students interview the cooperative leader and compile interviews and background materials to create a 3-5 minute multimedia presentation. Students complete AEDE 3141 with a comprehensive understanding of agricultural cooperatives from coursework, lectures, and face-to-face discussions with cooperative leaders. The multimedia project helps students build skills in digital production and fosters meaningful connections with industry leaders. “Access to engaging cooperative education materials for developers of new cooperatives, stakeholders of existing cooperatives, and students of cooperatives is one of the major challenges OCDC faces when providing education and technical assistance to the public and start-up cooperatives,” said Program Manager Hannah Scott. The benefit of the student multi-media projects reaches far beyond their personal learning, providing public education in an accessible and engaging format. 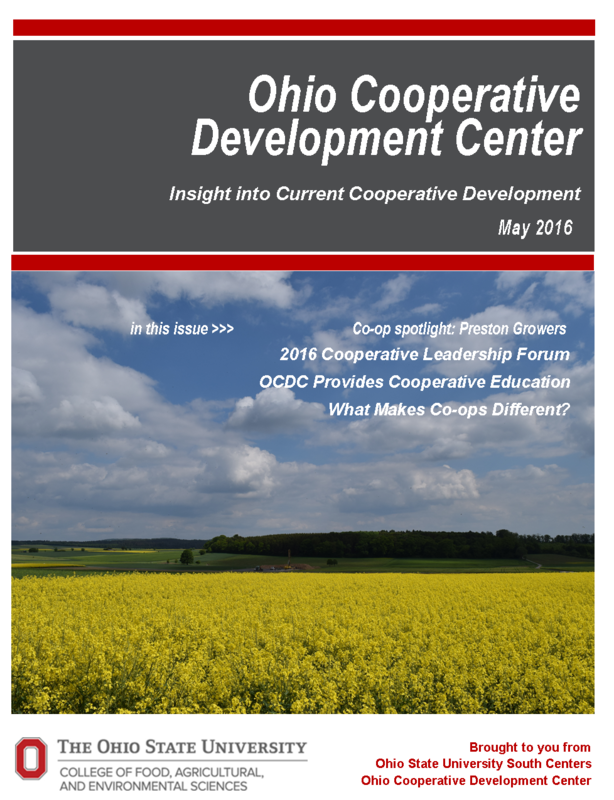 The Center showcases students’ multimedia projects on the Ohio Cooperative Development Center’s website and utilizes students’ videos in OCDC’s cooperative education and outreach efforts. 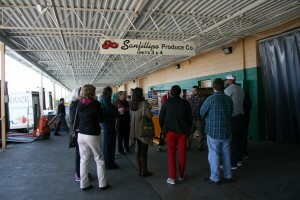 Past student projects can be viewed at https://southcenters.osu.edu/cooperatives/cooperative-resources. The center also plans to feature student projects in OCDC’s upcoming online training, Co-op Mastery: Beyond Cooperatives 101. The training will be housed in the public access version of Canvas, The Ohio State University’s online learning management system. The course will be available to the public in 2018. Before the bell rings, students at the Ohio Valley Career and Technical Center in Adams County, Ohio check the aquaculture tanks, unload greenhouse bedding plants and discuss a recent livestock trailer purchase they will use to haul cattle, goats and hogs to market. The hardworking high school juniors and seniors operate eight farm enterprises: cattle, hogs, small ruminants, aquaculture, soybeans, corn, tobacco, and greenhouse production. The students are involved in every aspect of farm operation: business planning, financials, production, decision-making and day-to-day management, all of which is carried out with guidance from agriculture business instructor Mr. Luke Rhonemus. Mr. Rhonemus has more than 15 years of experience teaching agriculture. He believes cultivating real-world Ag skills in young people will benefit them outside the classroom, as they continue their education and start careers. 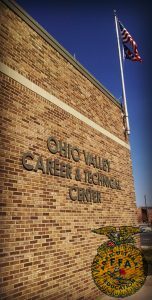 Staff from the Ohio Cooperative Development Center visited Ohio Valley to share the cooperative business model with students. Students learned how member-ownership and control makes co-ops different from other business structures. They studied current agricultural cooperatives, and identified agricultural co-op products and services they use on the farm; products like Purina feed and services like Farm Credit Mid-America. Students learned about the benefits of cooperation: increased volume, reduced costs, spread risk, market access and greater bargaining power. They appreciated how working together helps individual farms achieve big goals, but also debated how to ensure that everyone benefits equitably. The students were asked to consider how organizing their school farm enterprises as an agricultural cooperative(s) could expand business, create opportunities and increase farm income. FFA groups in other parts of the state have leveraged the co-op model to boost student engagement and agricultural education. “These kids work hard during the school year and summer months. 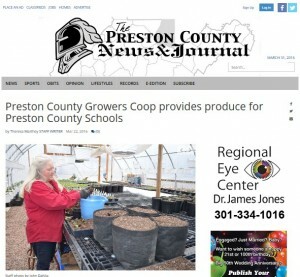 I think a cooperative could offer them a chance to see the pay-off of their hard work,” Mr. Rhonemus said. 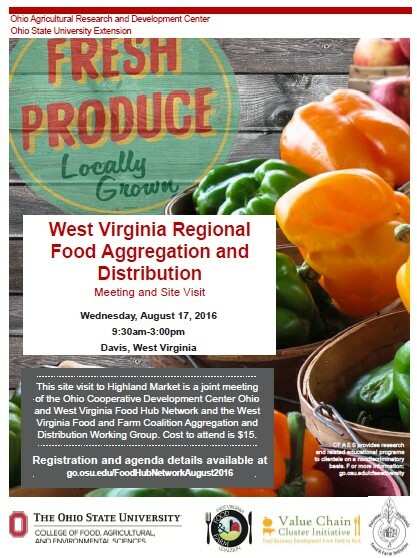 The OH and WV Food Hub Network, along with the Aggregation and Distribution Working Group of the West Virginia Food and Farm Coalition will be meeting on August 17 in Davis, West Virginia. The meeting will begin with a site visit of Highland Market and will include panelists from regional food aggregation businesses. Cost to attend is $15 and registration is open until August 10. Registration and agenda details available here. 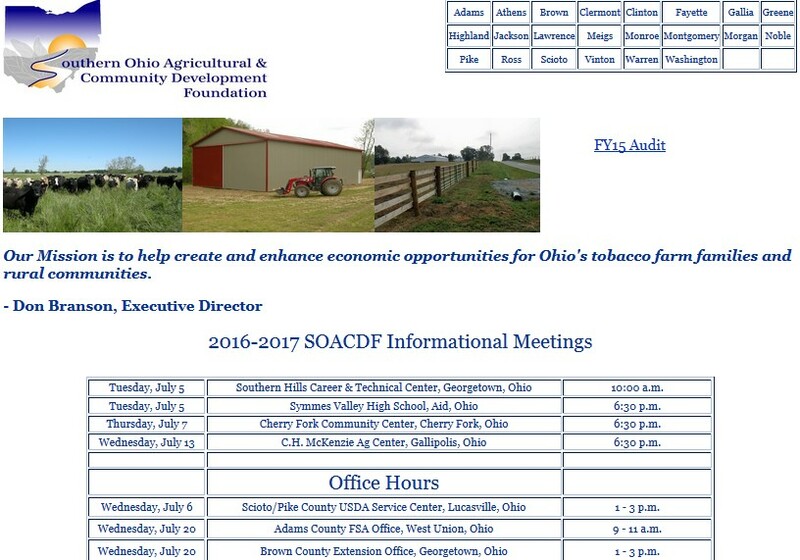 The Southern Ohio Agricultural & Community Development Foundation (SOACDF) is again offering an opportunity for farmers in Southern Ohio. The Young Farmer Agricultural Program is designed to facilitate growing an agricultural enterprise to the next level. 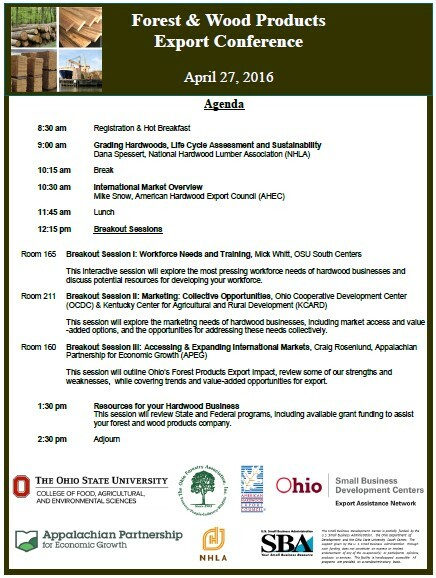 The intent of the program is to help promote and ensure a strong future in southern Ohio agriculture. Eligible applicants must be ages 20 – 38 as of August 1, 2016 and must reside within the 22 counties the Foundation currently serves. The Agricultural Development Program is open to any individual who resides within the 22 counties the Foundation currently serves that have either a Farm Service Agency (FSA) number on record or was a tobacco quota owners, quota owner/growers or grower/tenants of FSA records in any single crop year from 1997-2004. SOACDF will award grants in both of programs of up to $25,000 each. The grants will be 50% cost shares with the awardees. New this year is an Environmental/Water Quality Grant Program, which is open only to tobacco quota owners, quota owner/growers or grower/tenants of FSA records in any single crop year from 1997-2004. The maximum reimbursement is $10,000 and focuses on improvements made on farming operations such as stream crossings, containment systems, and manure storage facilities. Applications, including a business plan, will be accepted for the programs throughout August. 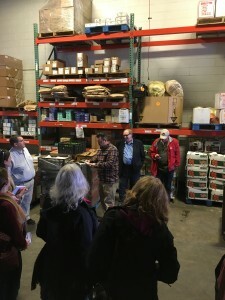 Applications are available at the SOACDF office in Hillsboro, the local Farm Service Agency or online at www.soacdf.net. The Business Development Network is available to meet with applicants to review components of their applications and business plan. For more information or to schedule an appointment, contact Joy Bauman at 740-289-2071 Ext. 111. Please call to schedule an appointment before August 12. Governor Kasich has signed legislation to create a new “Ohio Farm Winery Liquor Permit.” While wine makers in Ohio may currently obtain a general liquor permit to make and sell wine on a farm, the general permit does not distinguish the source of the wine. The new Ohio Farm Winery Permit legally designates the wine as being made from grapes grown on the wine maker’s farm. 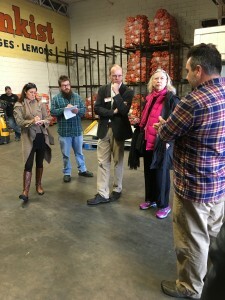 Sponsors and supporters of the legislation claim that the special designation will help consumers know a wine’s localized nature, bring recognition to Ohio’s wine growing regions, keep Ohio competitive with other states that designate farm-produced wines, and ensure that farm wineries continue to receive property tax treatment as agricultural operations. Wineries that qualify for the new permit would “be able to present themselves as true farming operations,” according to sponsor Ron Young (R-Leroy Township). 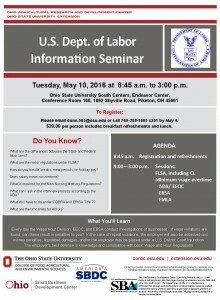 Join Department of Labor professionals and area businesses on May 10, 2016 from 8:45 a.m. to 3:00 p.m. at OSU South Centers in Piketon, Ohio. To learn and have an opportunity to get answers to specific questions about labor requirements for your business. Understanding ever-changing labor laws is vital to a successful business, and professionals from the Department of Labor will be presenting key components of what is needed for such success. The cost to attend is $20.00 per person, which includes breakfast refreshments/ lunch and printed material. To register, please email dunn.595@osu.edu or call 740-289-1605 x301 by May 4. 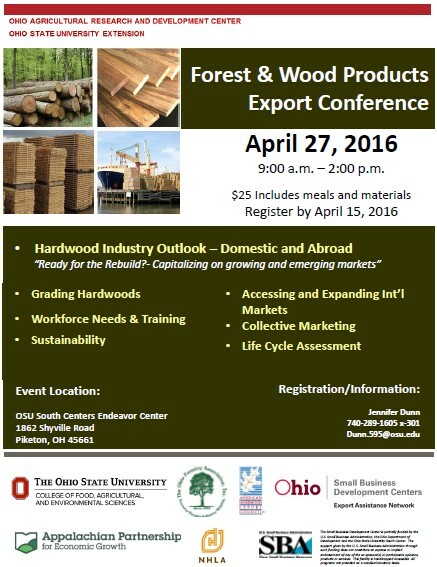 To register, email Jennifer Dunn at dunn.595@osu.edu or call 740-289-1605 x301.